The masu was not originally used as a Sake drinking cup but as a measuring cup. 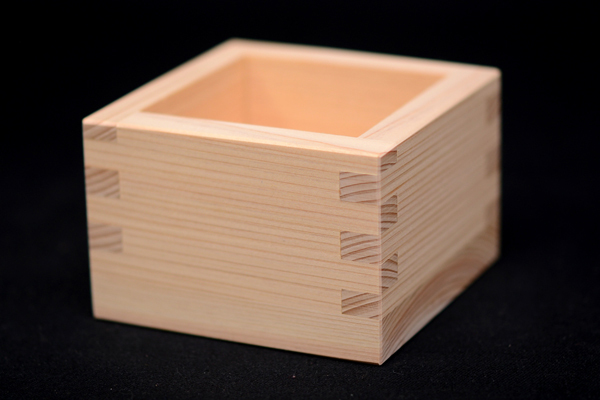 In Edo Period masu was used by merchants to measure for sale rice,grains, soy sauce, vinegar and sake. Nowadays masu are often used for serving sake at sake barrel ceremonies and at traditional Japanese pubs that appeal to the customer’s sense of nostalgia.